Sometime within the next three months, the people of Algeria will vote in a presidential election to choose a new leader. That’s an onerous task, one that relies on the collective responsibilities and decisions of every citizen of Algeria, yet it is a duty that is one of the virtues of being a fully independent nation. And that independence has been achieved and secured by the actions of a generation of anti-colonial leaders who worked and fought together to make that freedom happen. Much will be said in the coming months of wanting to forge a new path for Algeria. But there is a reality that must never be forgotten by Algerians, and that is the key role played by the ailing Abdul Aziz Bouteflika, who has formally submitted his resignation as president and is making way after 20 years at the head of the nation. Given that these last few months have seen thousands take to the streets against the ageing president, there will be many who will be tempted to celebrate his departure. Yes, change is a good thing, as is renewal of the national spirit. But few have symbolised the spirit of Algeria better than Bouteflika, a man who dedicated his life to bringing about the freedom of his nation from French rule. For every Arab, Bouteflika was a man who brought the issue of Palestine to the forefront at the United Nations, ensuring the plight of the dispersed people — and their fight for justice — gained prominence in global consciousness. Domestically, he was a man who saw off the radicals and extremists who brought violence to his nation. That was a chapter that required tough choices and a commitment to building and sustaining a modern Algeria, one not beholden to extremism. Algeria’s constitution stipulates that, once the president officially resigns, the Speaker of the upper house of Parliament, 77-year-old Abdul Qader Bin Salah, would act as interim leader for up to 90 days, during which a presidential election must be organised. When that vote takes place, there will be none of the generation of leaders who grasped the mantle of freedom and shed the yoke of French colonial rule. There will be few seasoned hands on the tiller to ensure that Algeria will remain free of extremism or those who peddle the toxic mix of politics and religion packaged as Algerian nationalism. 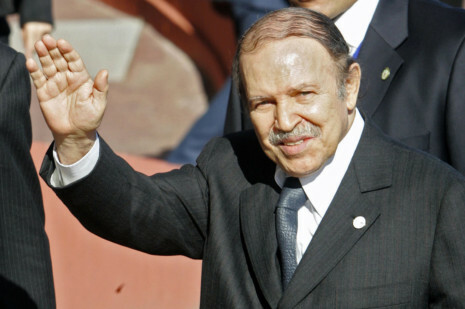 The real legacy of President Bouteflika needs to be cherished and honoured now by this new generation of leaders.